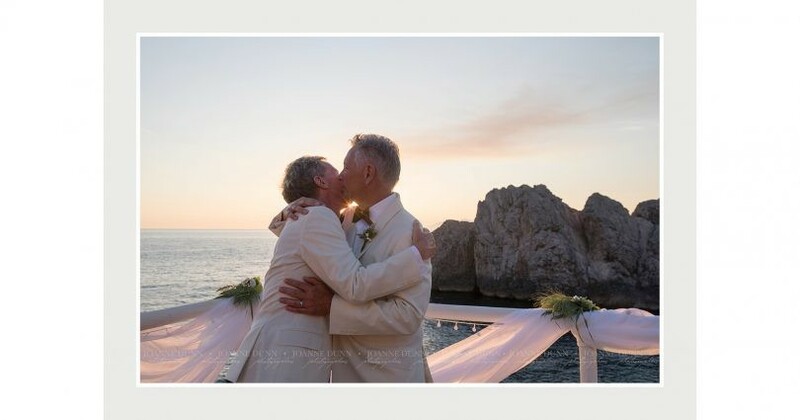 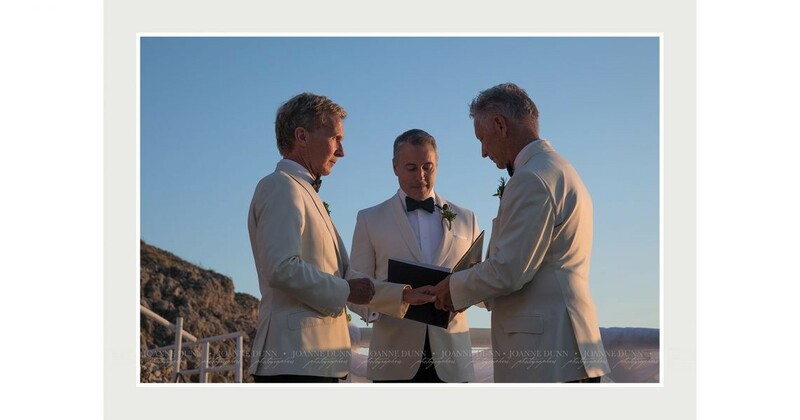 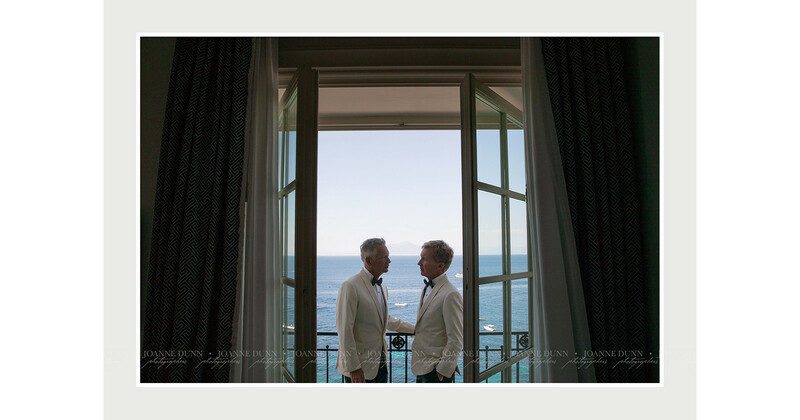 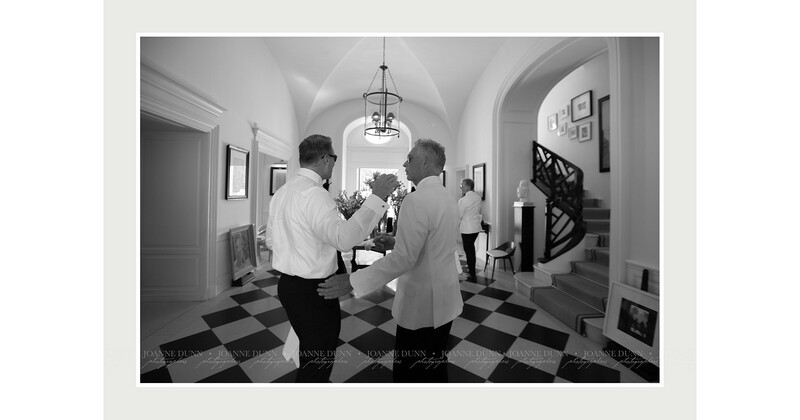 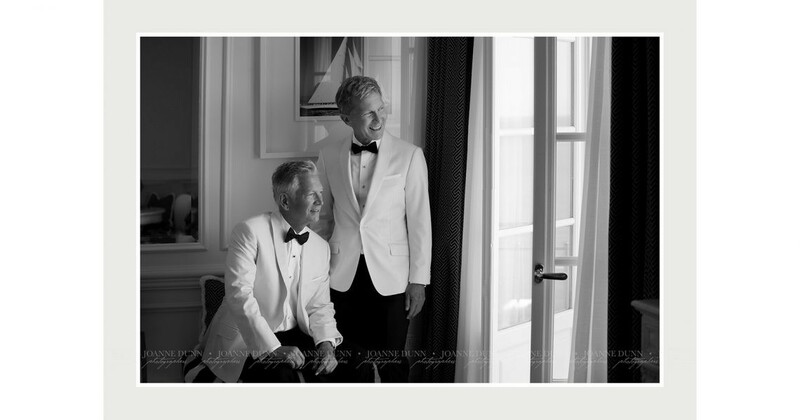 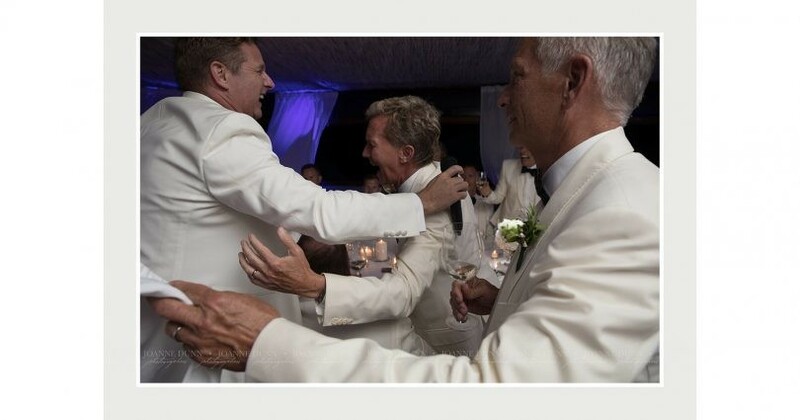 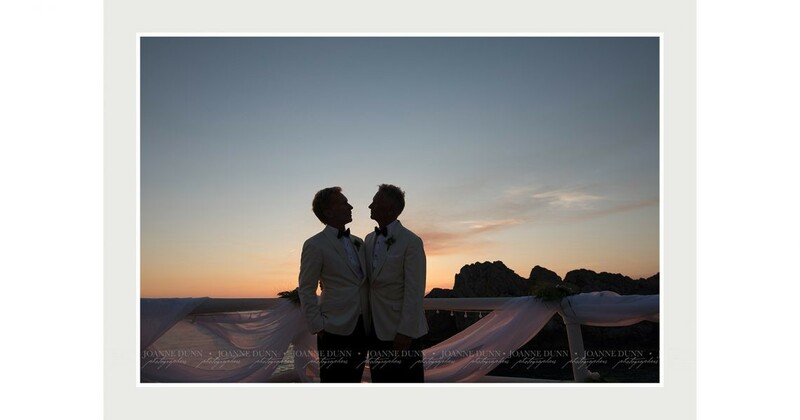 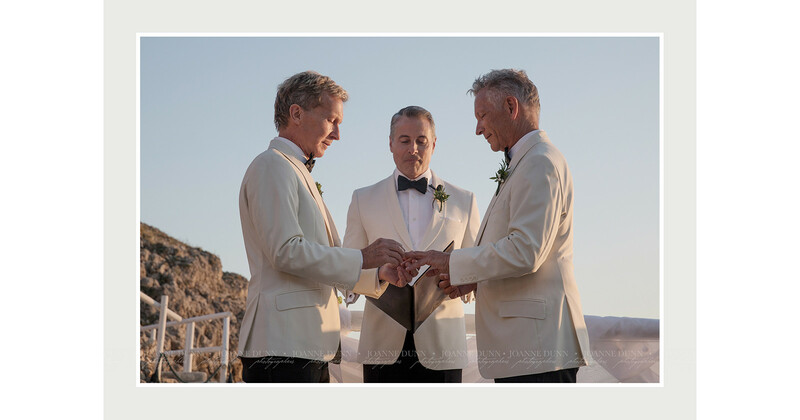 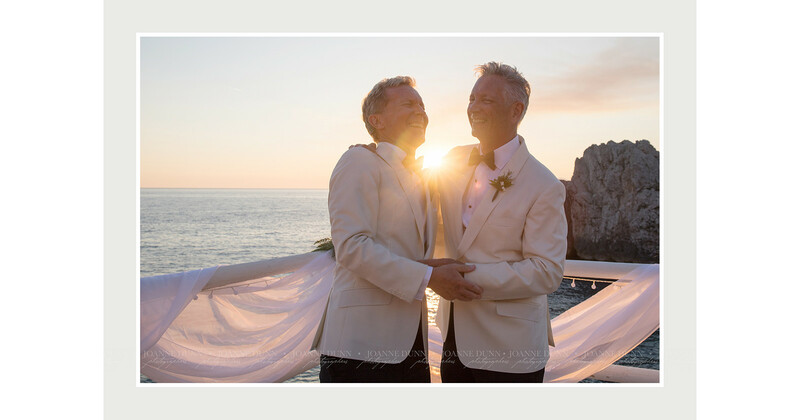 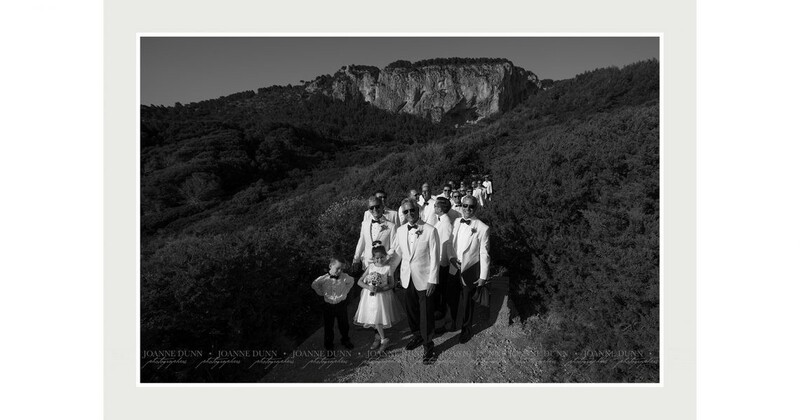 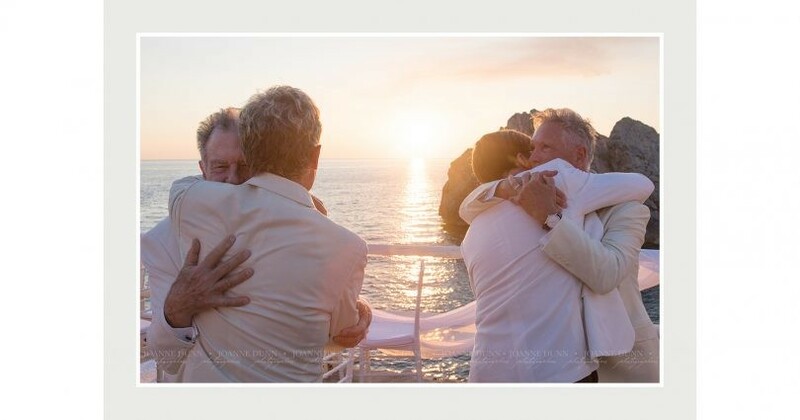 Michael & Bill have been together for over 30 years so this wedding was a long time coming in the eyes of all family and friends. 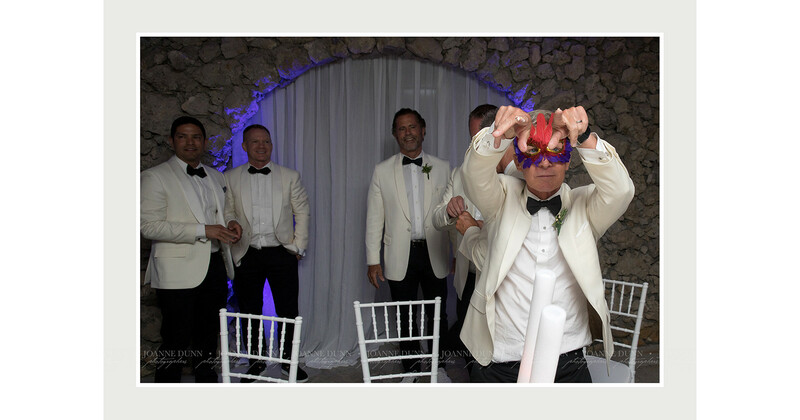 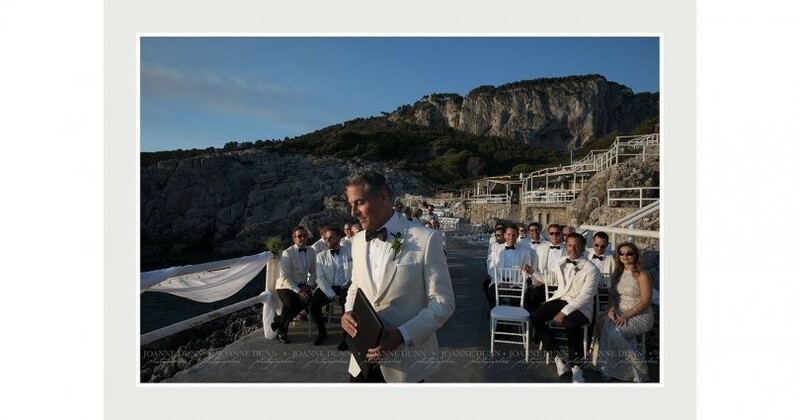 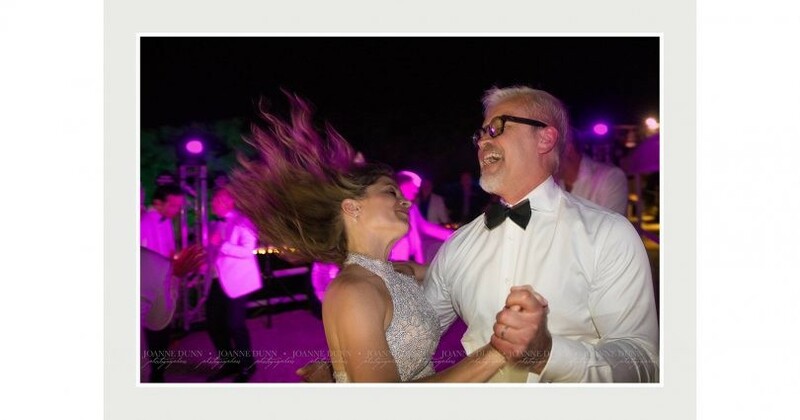 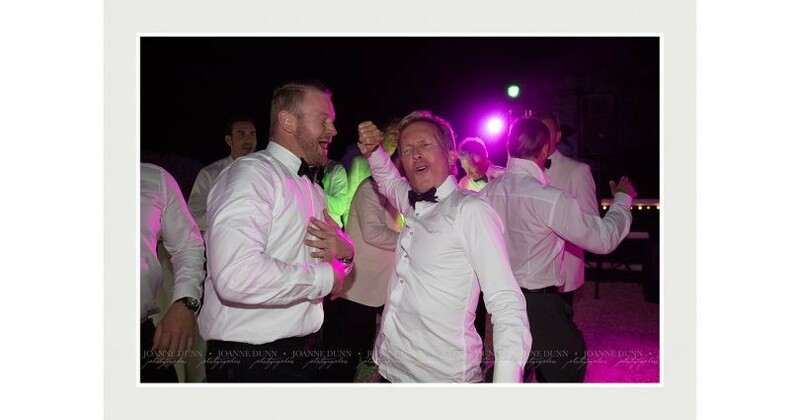 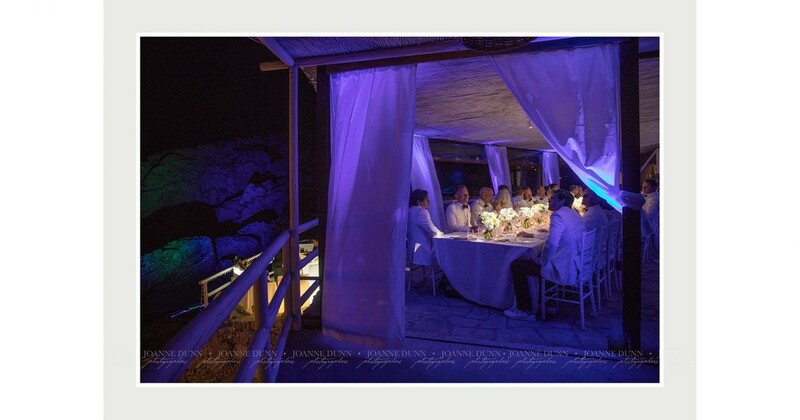 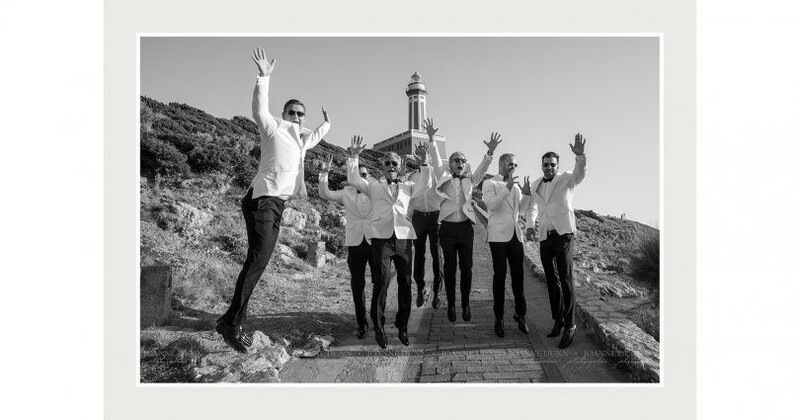 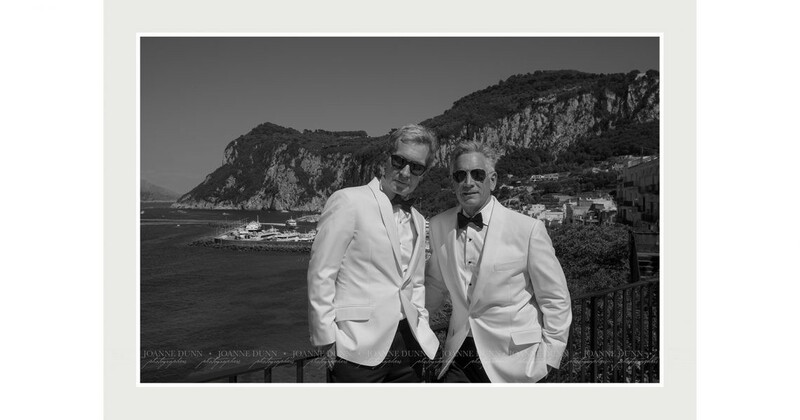 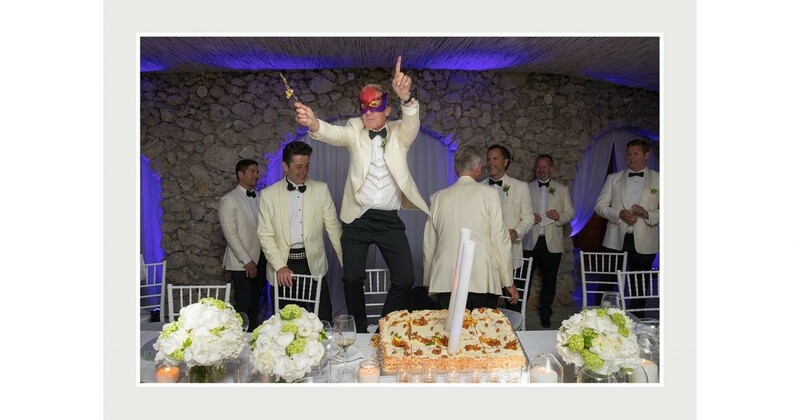 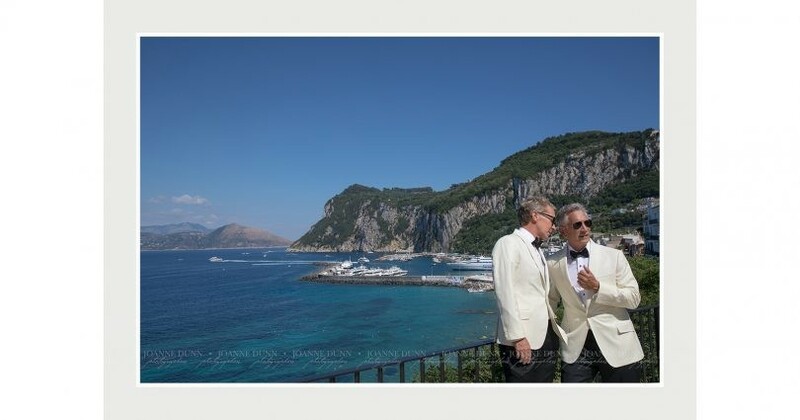 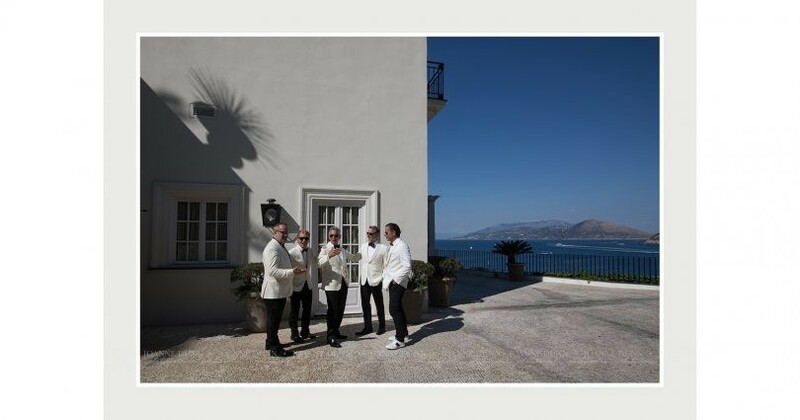 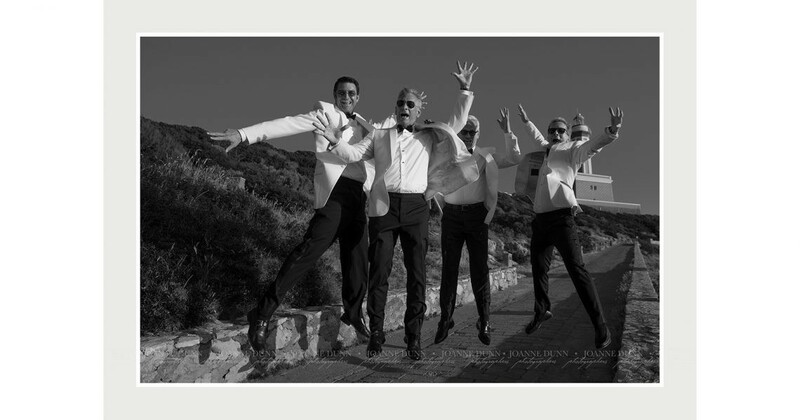 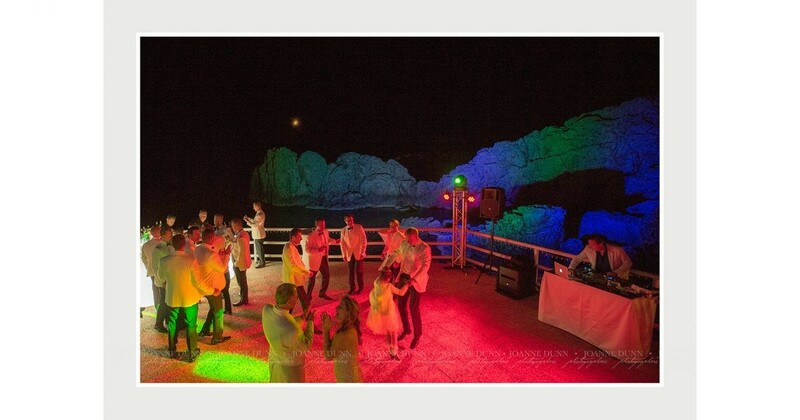 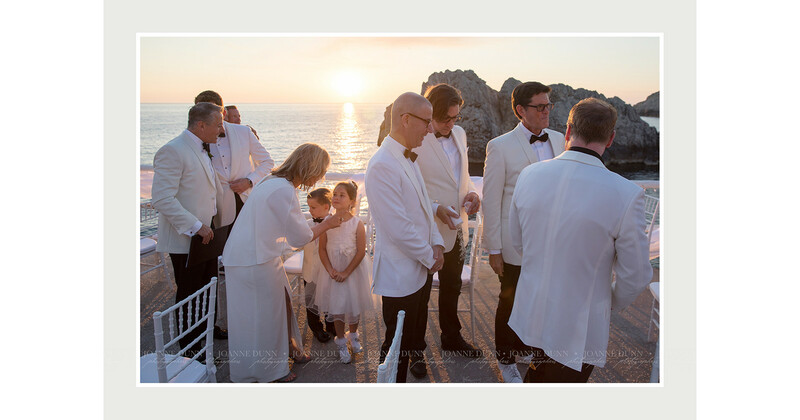 Their semi suprise event was carefully planned and detailed by the international, Your Private Italy team and disguised as a birthday/retirement/ holiday celebration on the fabulous Isle of Capri. 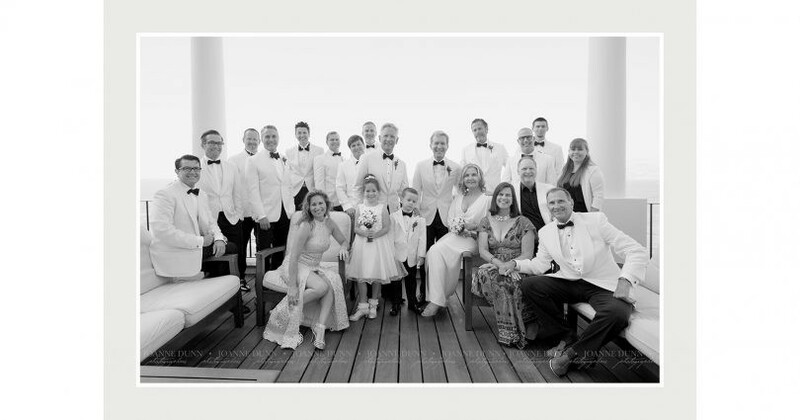 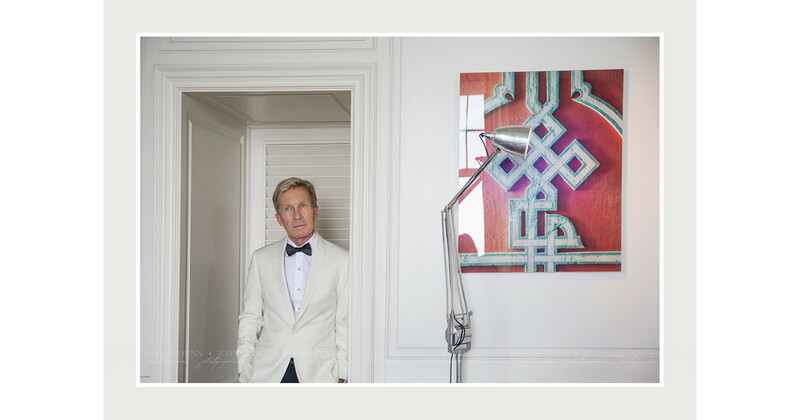 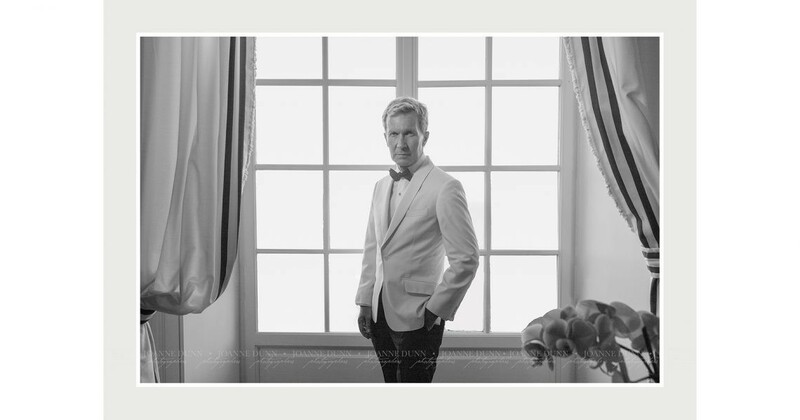 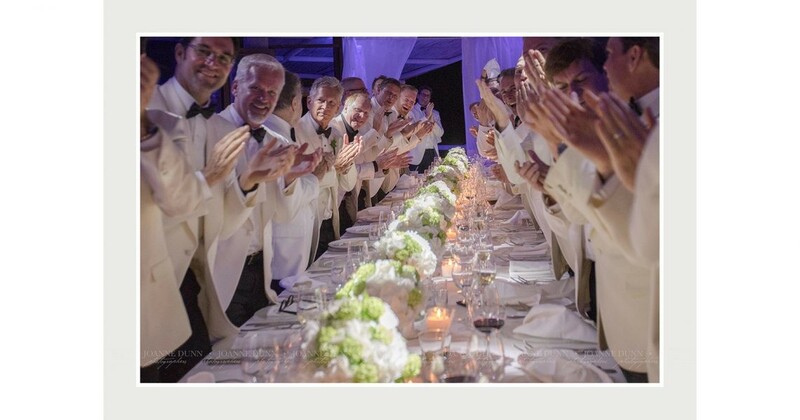 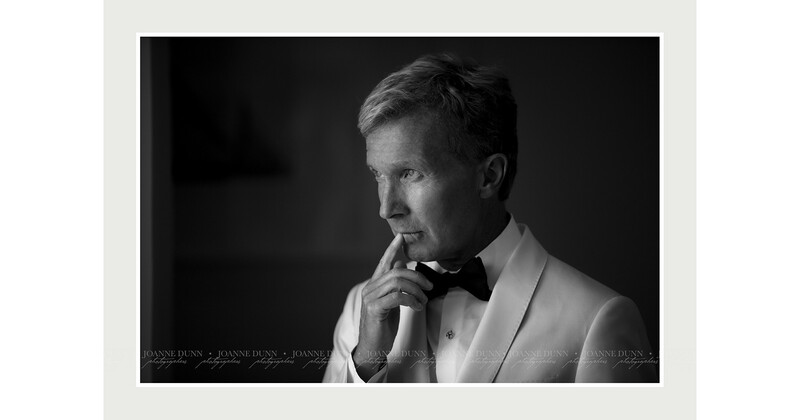 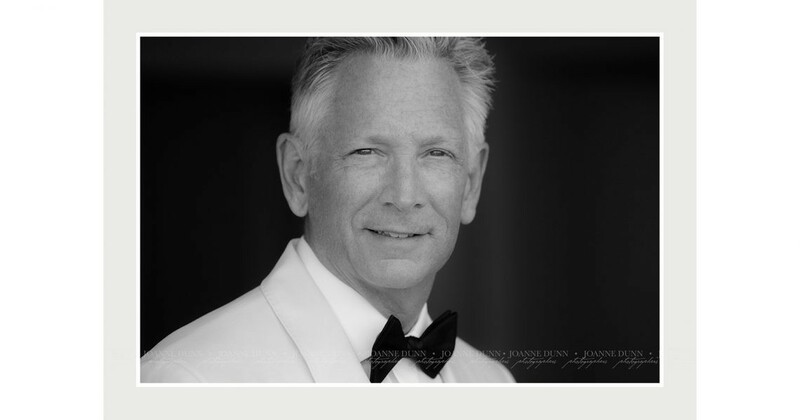 Hosting 40 guests – their closest family and friends, for an elegant, black tie event, the entertainment executive and real estate agent prepared for the day together in a very relaxed style at the exclusive JK Palace. 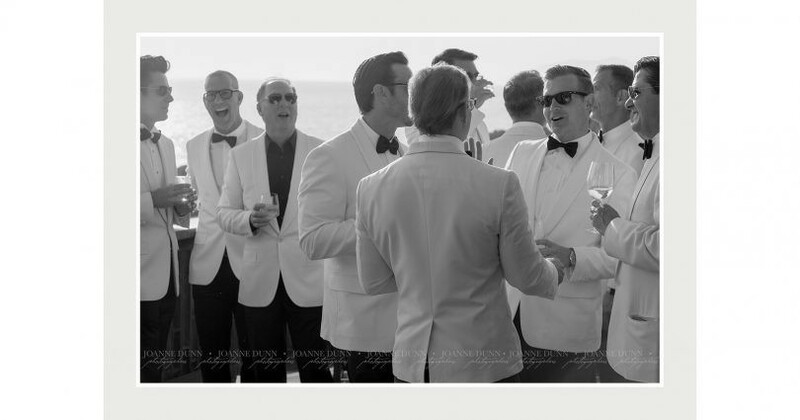 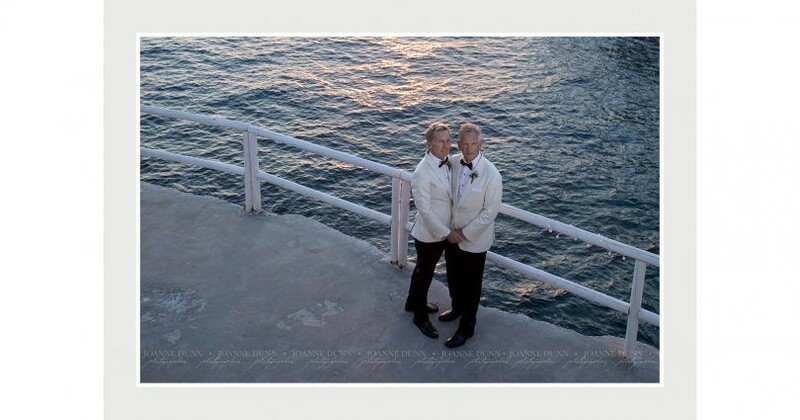 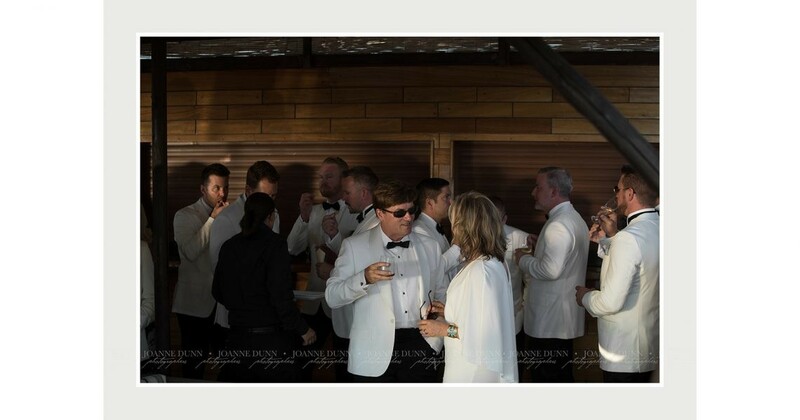 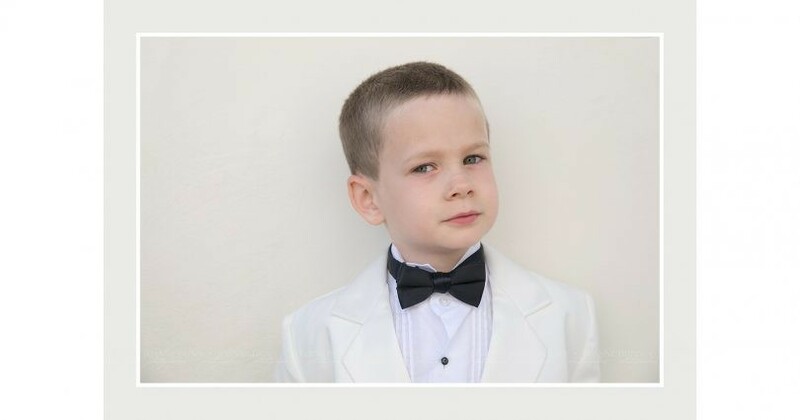 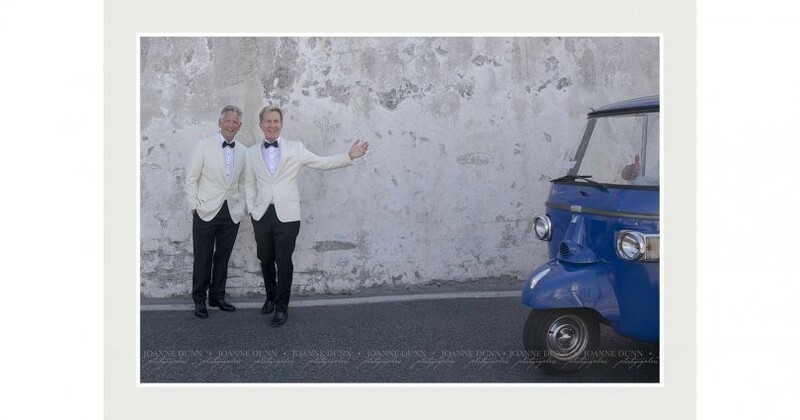 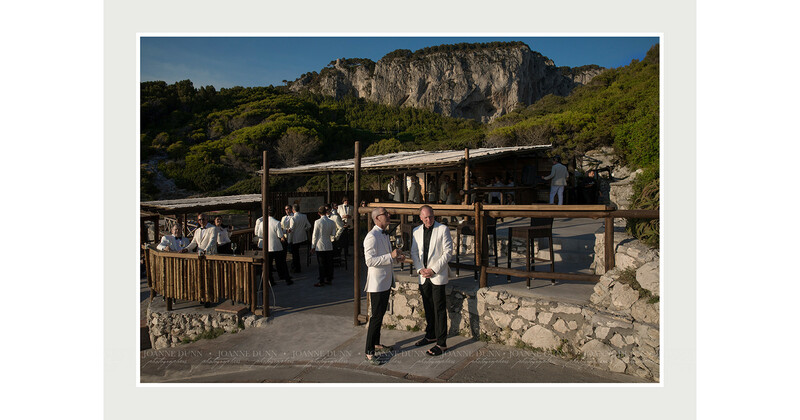 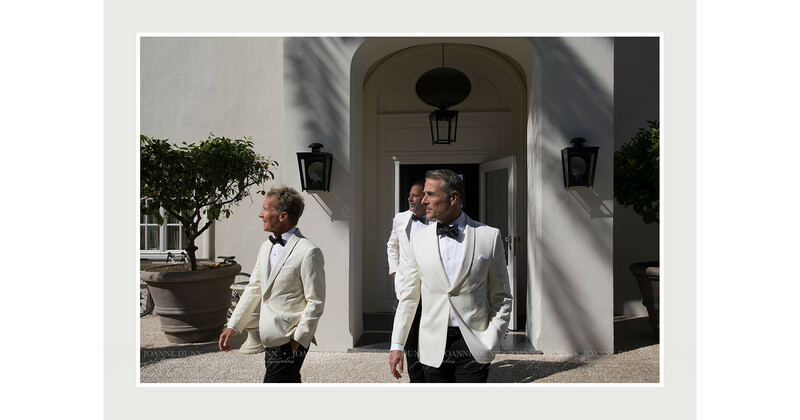 With a mostly gay guest list, the wonderful couple chose a classical 60’s theme, starting with a cocktail at the chic Maliblu beach club. 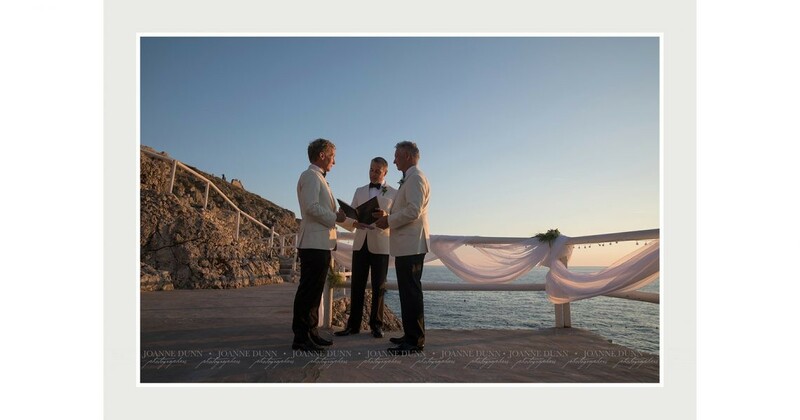 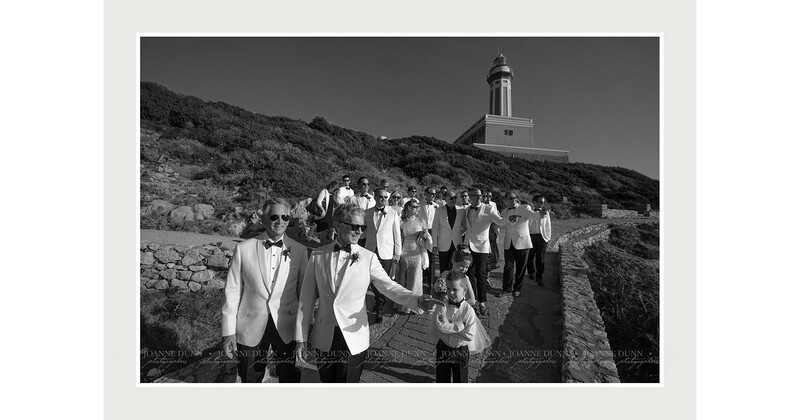 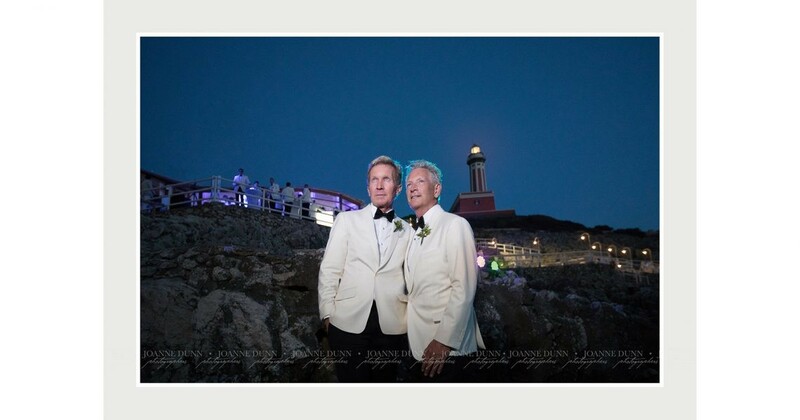 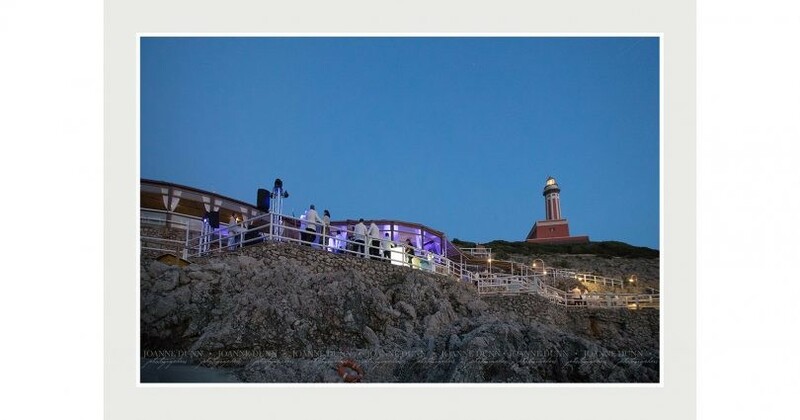 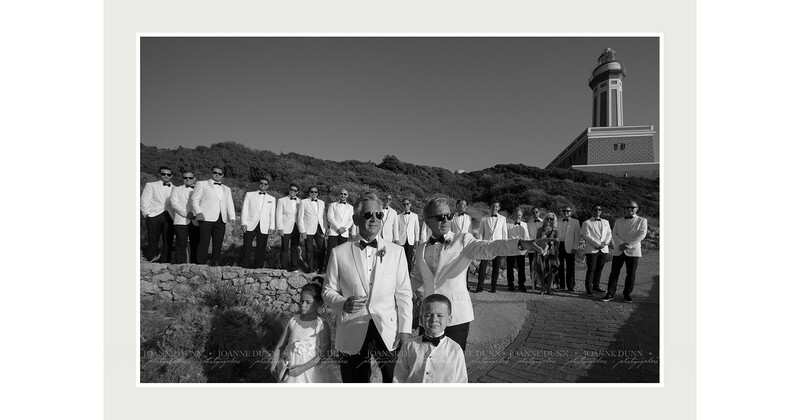 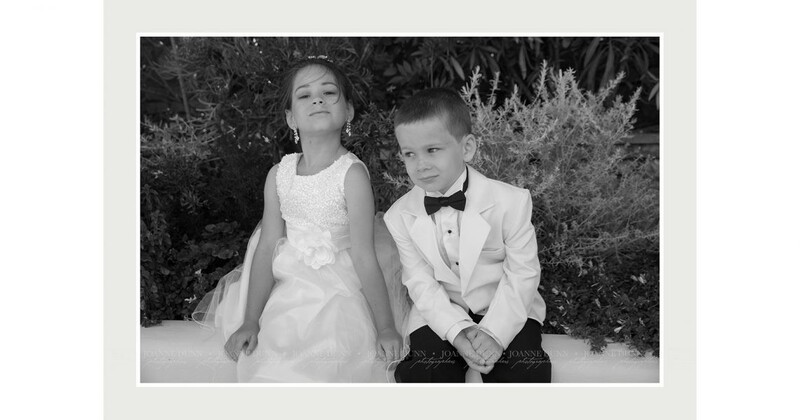 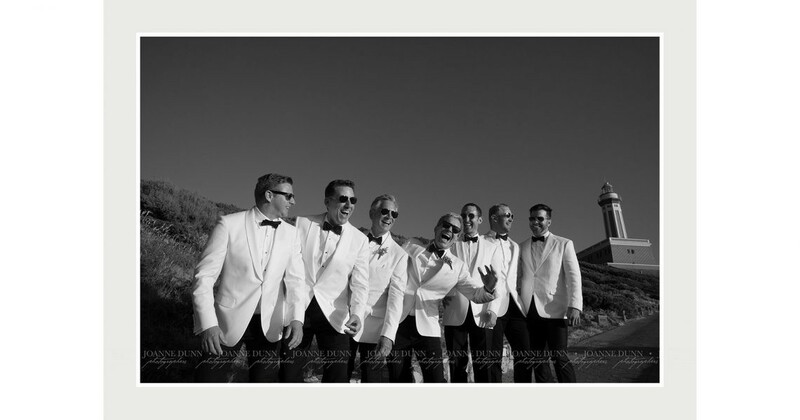 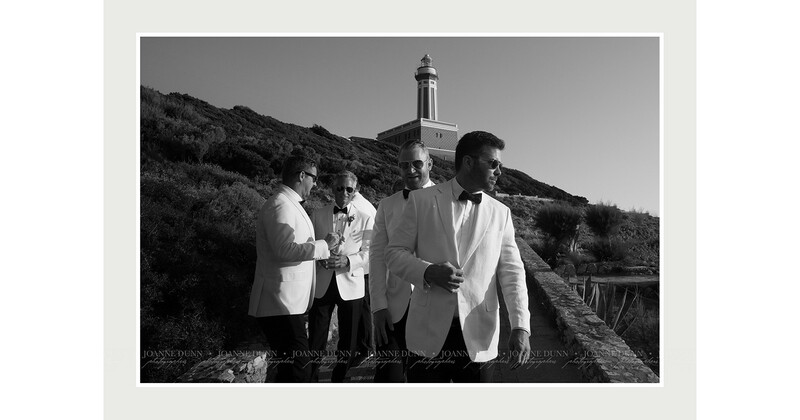 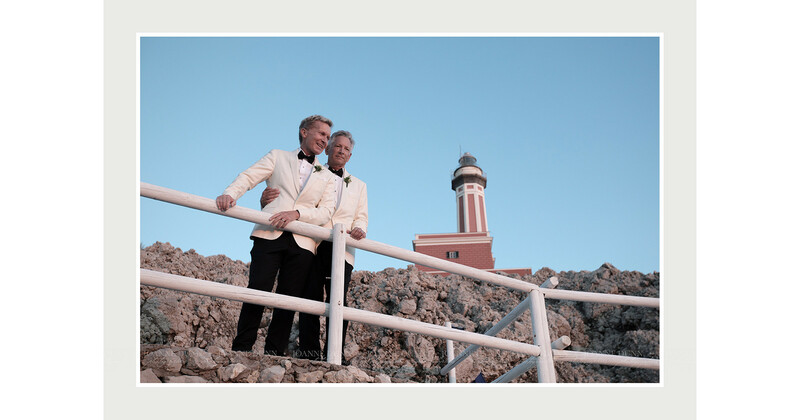 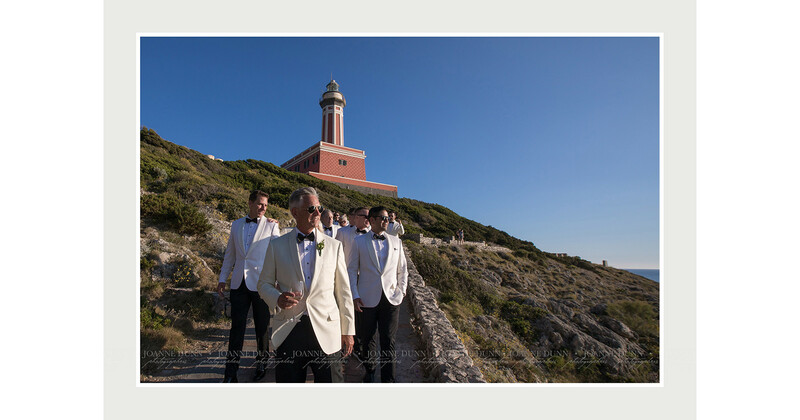 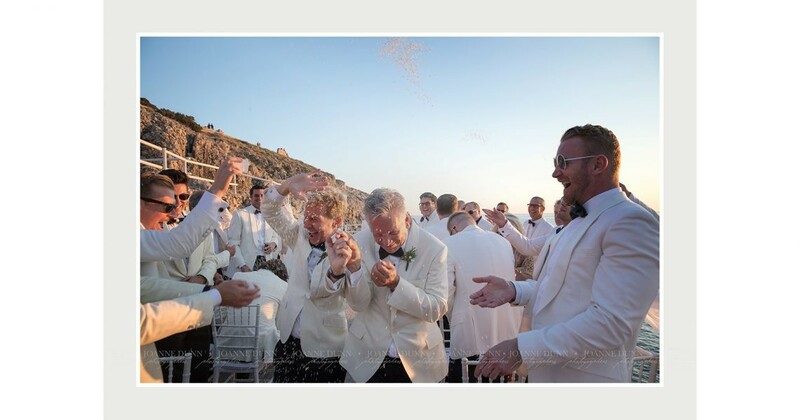 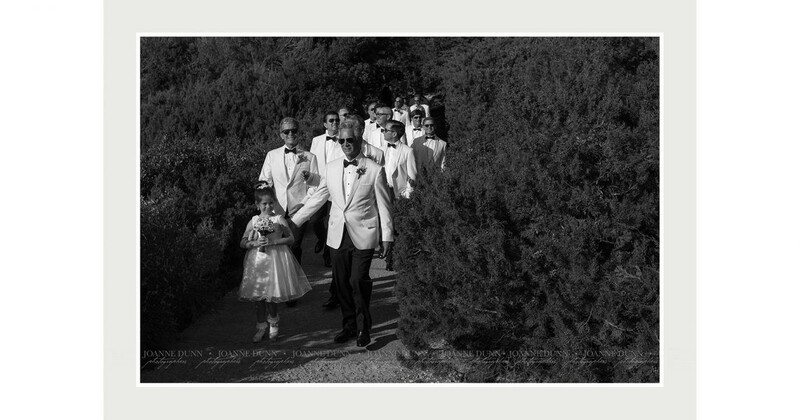 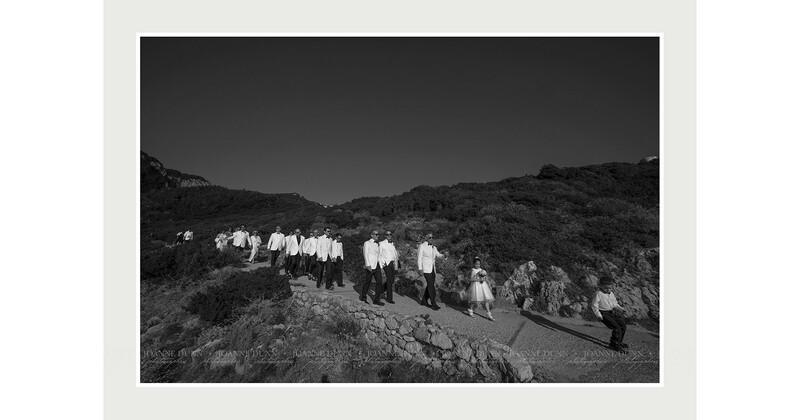 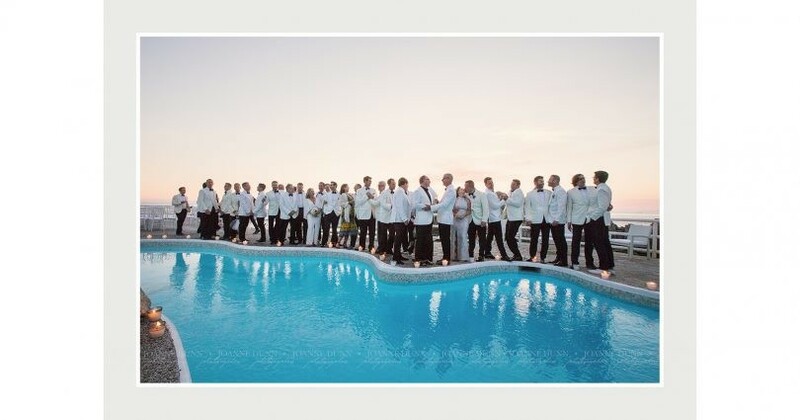 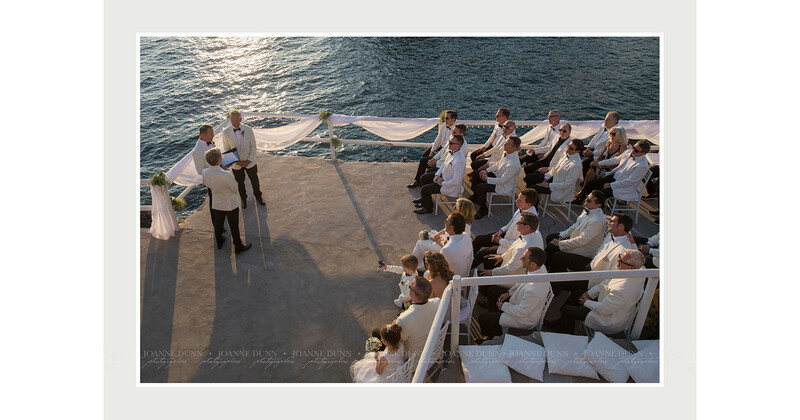 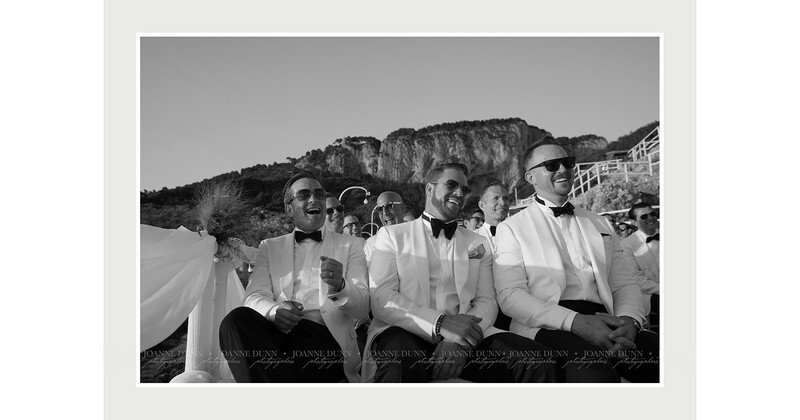 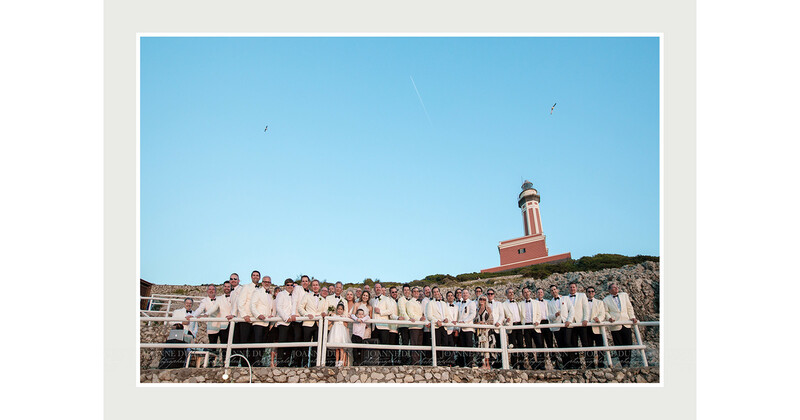 Their intimate wedding ceremony and champagne toasts then followed seaside at the wildly elegant Lido Del Faro. 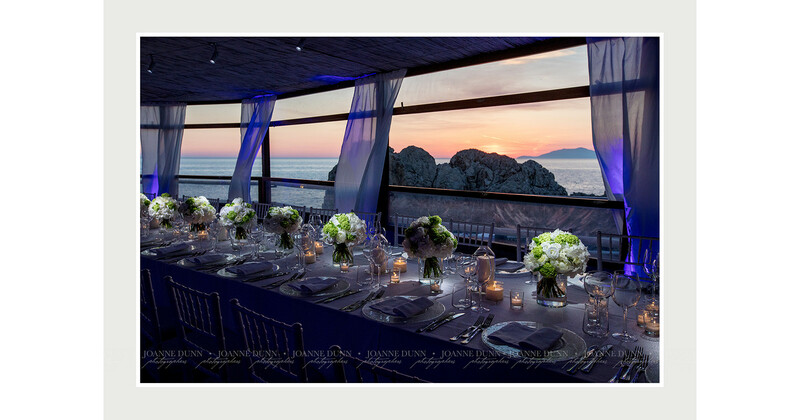 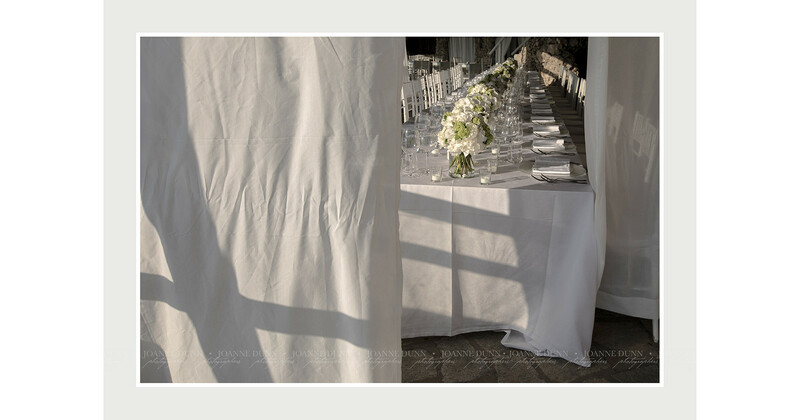 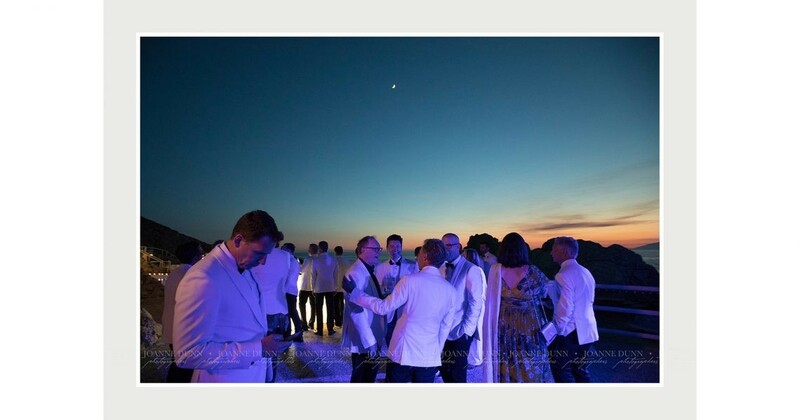 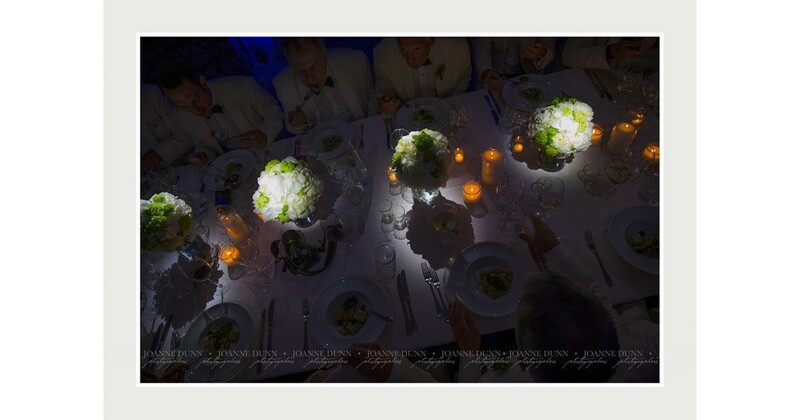 As the stunning Italian May sun set, the event flowed on to an elegant wedding imperial table, for a candlelit dinner, on the open air terrace, the famous Capri faraglioni in the distance. 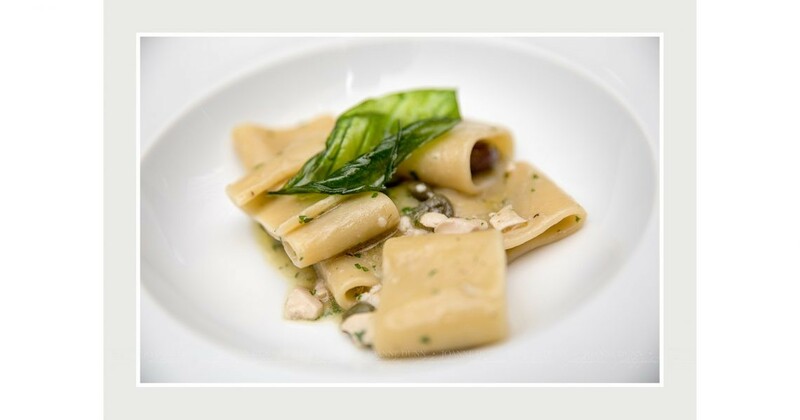 Impeccable Italian cuisine matched with fine Italian wines was served as guests toasted hillarious tales of their much loved friends. 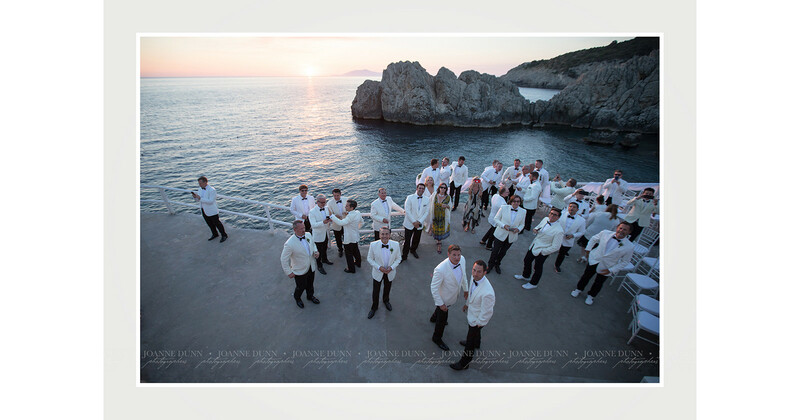 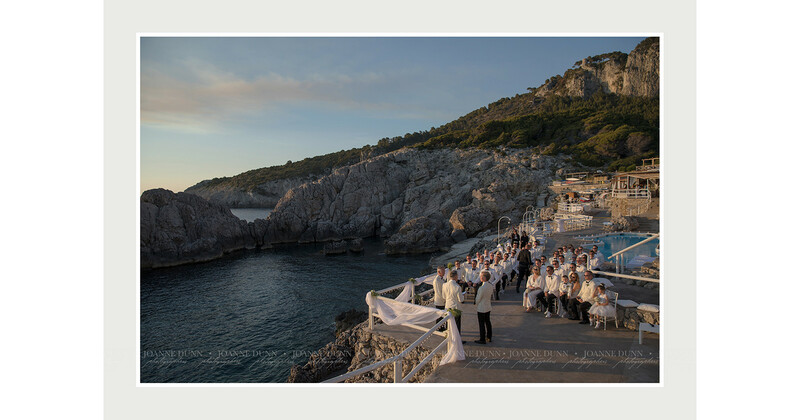 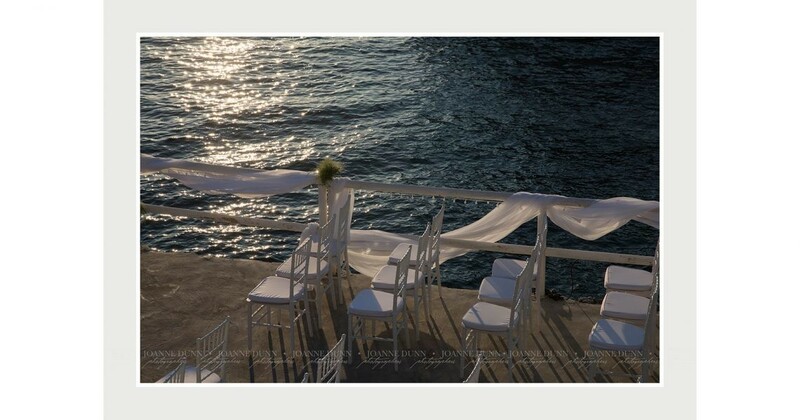 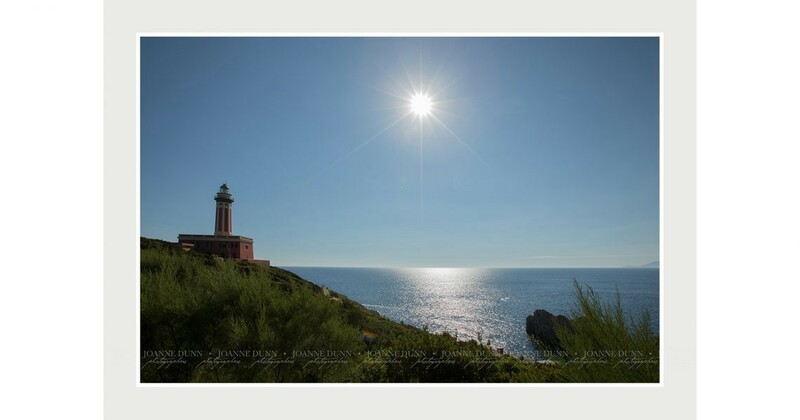 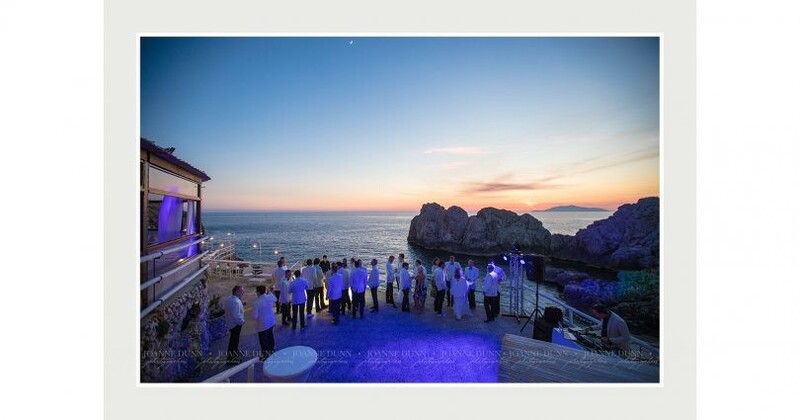 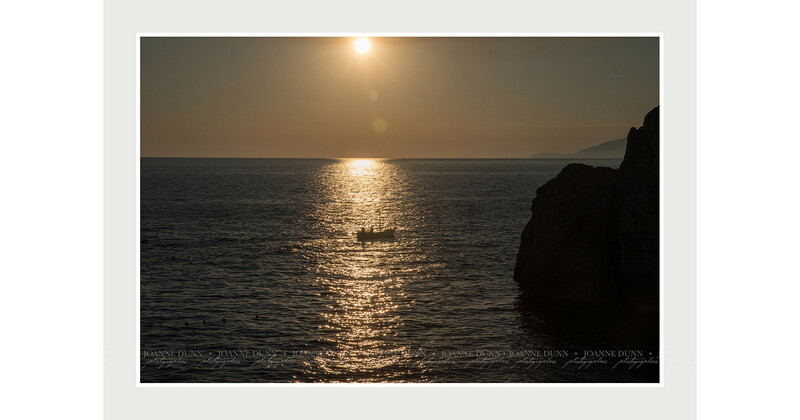 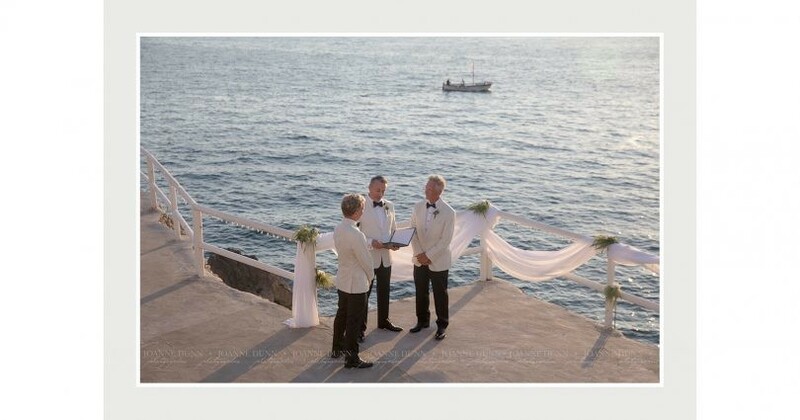 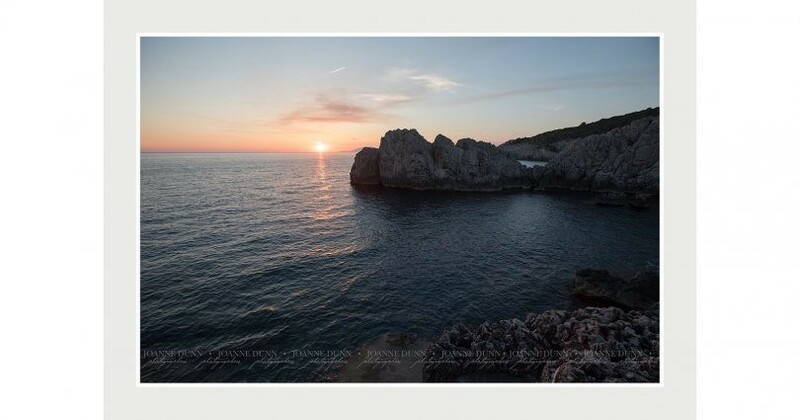 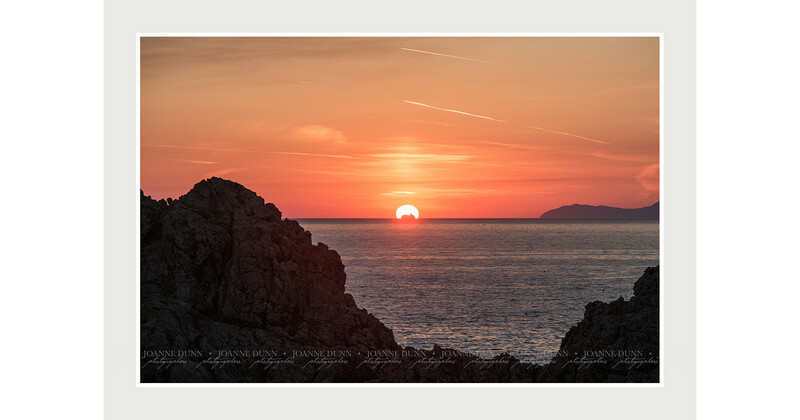 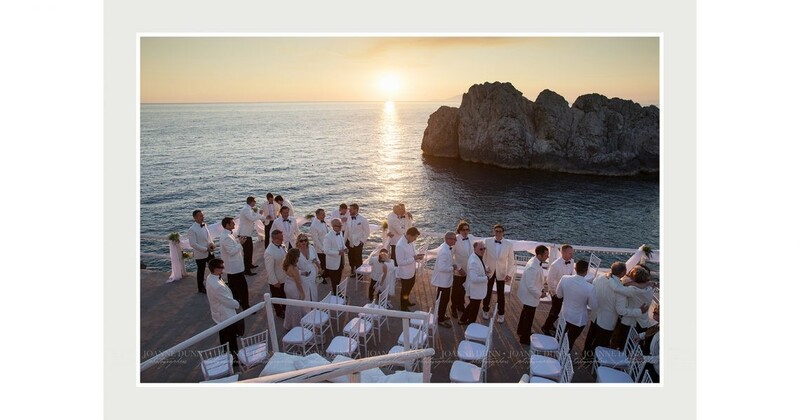 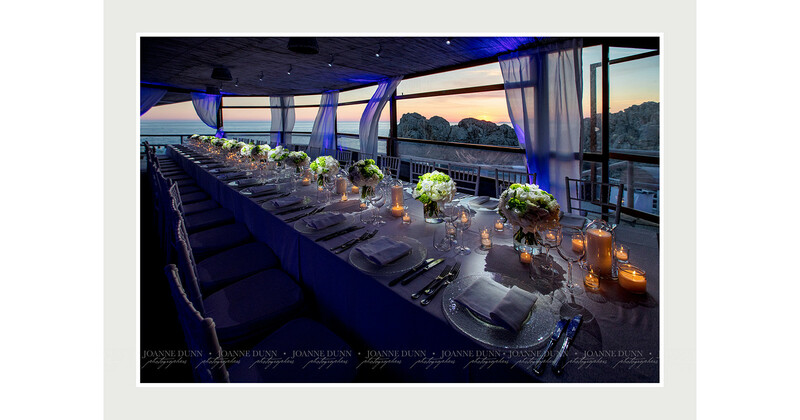 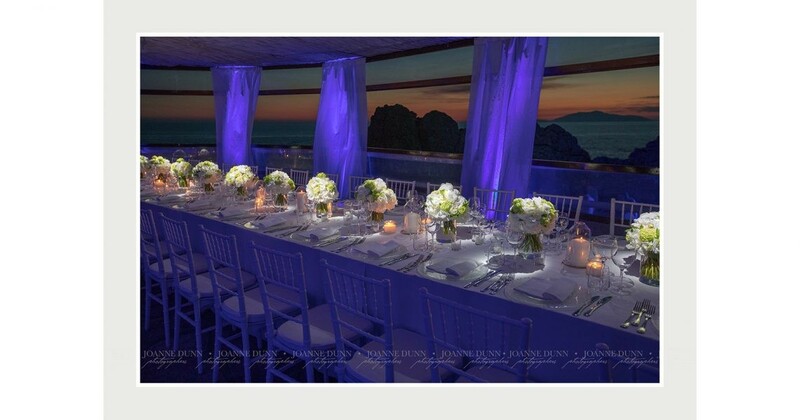 As a exclusive event destination, the picturesque views and secluded bays of Capri never disappoint. 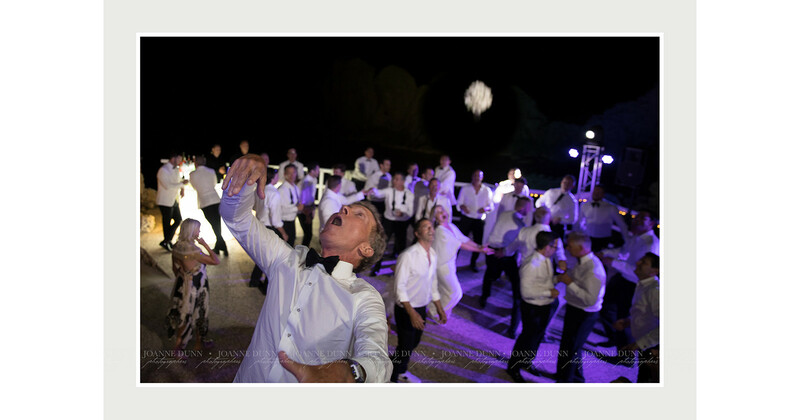 The wedding night set in and with a slither of moonlight above, the celebration continued into the early hours with drinks, dance, laughter and fabulous fun for all.